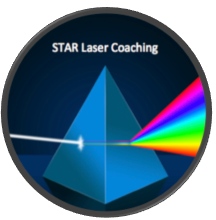 Laser Coaching is designed for the busy sales manager who will benefit from having access to Steven’s expertise but is reluctant to commit to a more intensive coaching program. Reinforce our Sales Management Coaching Program and Focused Sales Coaching On-Line by supporting the implementation of the learnings. Provide sales managers access to a professional sales leadership coach who can rapidly cut through the minutia, get to the bottom of the problem and work with the sales manager to develop a plan of action. Steven is considered a thought leader in the area of leadership coaching and a seasoned sales management expert. He understands the challenges that sales executives and managers face. Over 25 years of research has proven that the best way to CRUSH you sales numbers is not by more training, but by his leadership coaching approach. Steven’s approach helps sales executives and managers improve FOCUS and understand their core driver(s). You may think you know what motivates your team, but it’s almost always a deeper and often hidden personal and individual reason that drives each team member to achieve peak performance levels. Experienced greater confidence, became better coaches and people managers. Improved communication with bosses and peers. Application of the principles of empowerment and accountability. Proactively managing performance and performance issues.